Nursery Teacher Playing Kitchen Roleplay With Her Students In The Classroom. Royalty Free Fotografie A Reklamní Fotografie. Image 60255960. Reklamní fotografie - Nursery teacher playing kitchen roleplay with her students in the classroom. 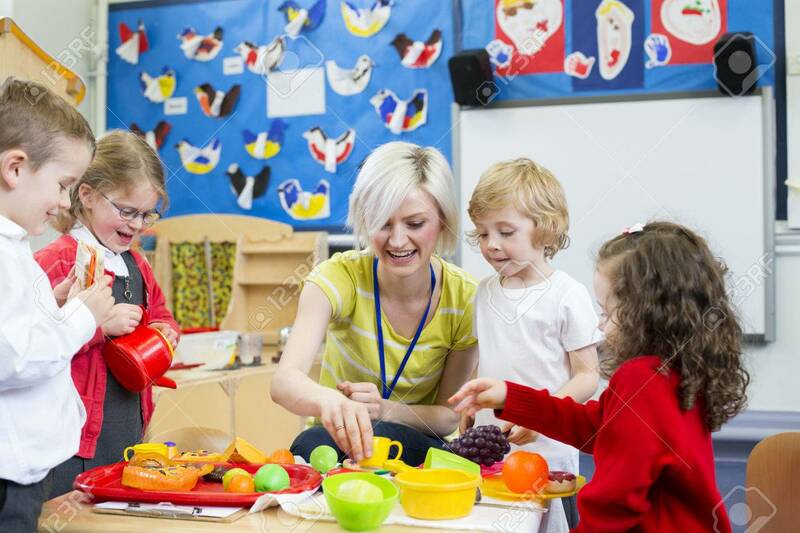 Nursery teacher playing kitchen roleplay with her students in the classroom.